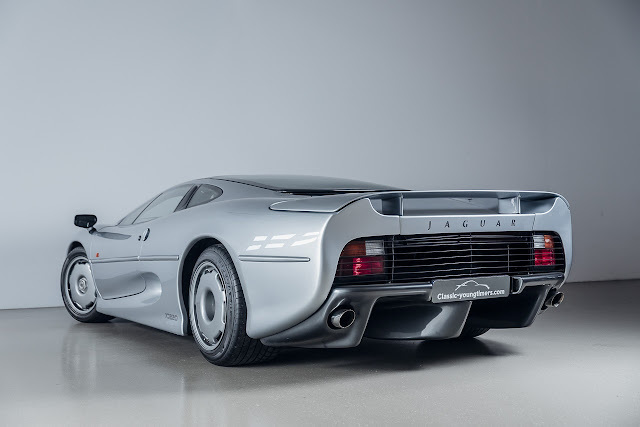 There's no doubt about it, this car is as visual as it is all about power, it may be 20 years old, but this Jaguar looks like it's ready to take on a McLaren P1! 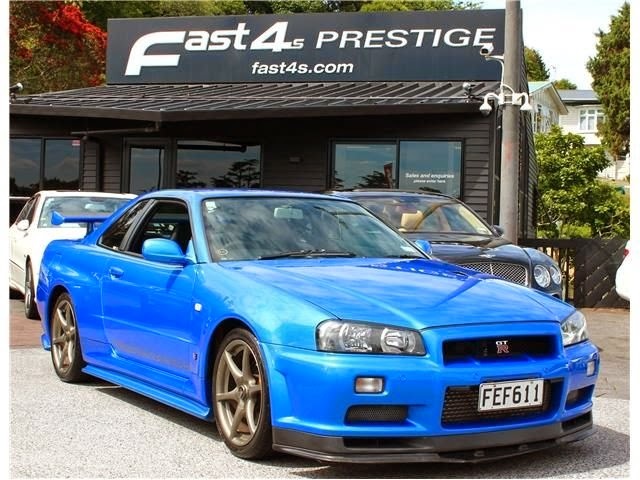 Having owned this car for a long period of time the vendor informs us that the driving experience of this car can only be described as totally addictive if you are a petrol head. 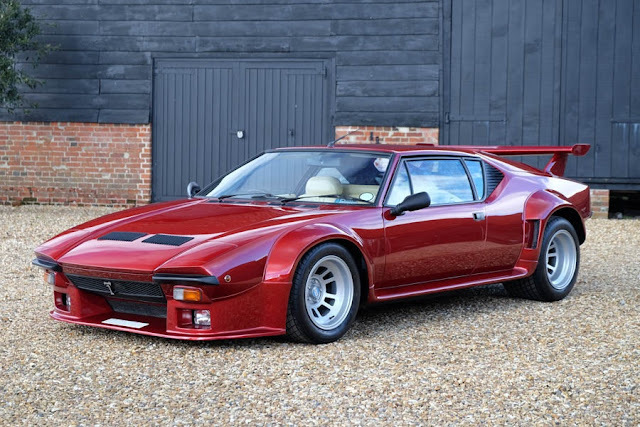 Turn the ignition key, hit the starter button and behind your head the Group C derived V6 bursts aggressively into life, harsh metallic whips of sound lash wildly from the engine bay, it's a noise straight from the Le Mans pit lane. Once up to speed it becomes addictive to lift off the accelerator and listen to the frenetic mixture of turbo waste gate chatter. Continuing to feed power through the gearbox only results in more drama as it reaches the limits of its abilities before the brace of mighty turbochargers reach full compression and the seductive noise dissipates into an aeronautical gale of vast quantities of air being manipulated both around the high-downforce body and through the engine. This particular 1993 XJ220 from the 3th owner has a Silver exterior over a Grey interior, which is a subtle colour combination that is truly fitting for a car of this calibre. It has clearly been well preserved throughout its entire life, as the odometer shows only 3600 kilometres from new. Further, the car has just enjoyed a major maintenance service, ensuring it is in absolutely fantastic mechanical order. 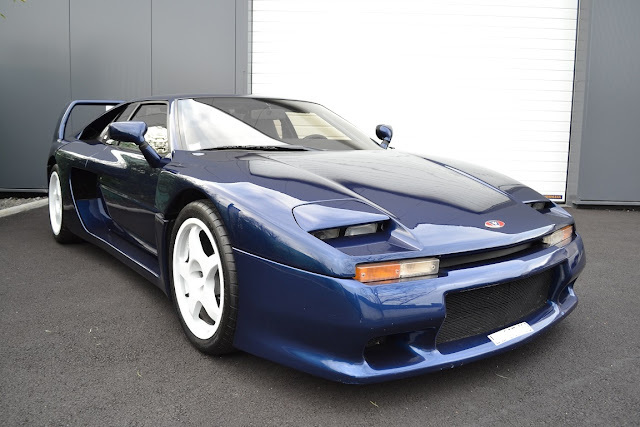 For a car with such history and less than 300 cars produced; the XJ220 sits as a fantastic investment opportunity, with a value set to rise in the coming years.